Virtually every political regime today claims to embody some form of democracy — and its diverse proponents, and its critics, have propagated many myths about it. Professor James Miller reveals five: #1—The United States revived and perfected democracy. 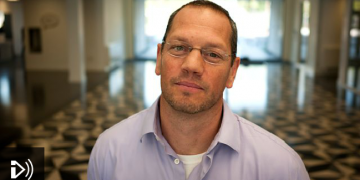 The BBC interviews Doug Lemov, who believes that every educator can learn to teach better. Reading Reconsidered will be released in February 2016. David Maraniss and Marketplace‘s Kai Ryssdal ventured out to take a first-hand look at Detroit and talk about the city’s decline. Click the image above to listen to their conversation. Robert Putnam’s New York Times Best Seller Our Kids was featured on a CBS segment called “Still Believing in the American Dream.” Click the image above to view the segment.